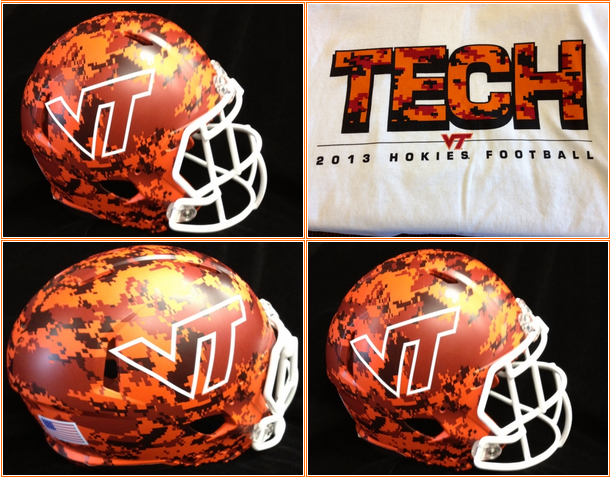 Virginia Tech's 2013 Military Appreciation helmets, to be worn against Marshall. I'm liking the look of this. Nice fall colors and if they wear it for a away game, this maybe will work. I can't see this as a home thing. The school will over do it and put the camo on the jerseys.